If you bill by the hour it is obvious that you must track time. But even if you mostly do value billing it’s still a good idea to keep track of your time. At some point you will need to re-evaluate your billing rates. 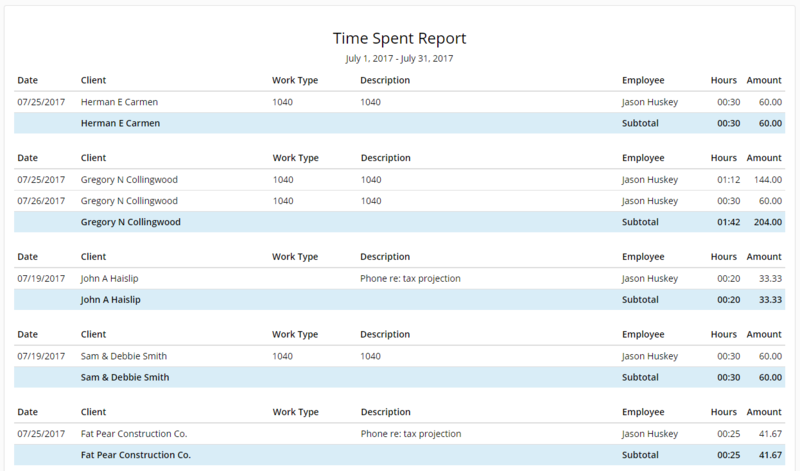 With Huskey Practice Manager you can easily pull a time spent report to determine if you are under billing. To enter time on your spreadsheet click the Time Sheets link at the top of the page. The program will default to showing a timesheet for the current date at the beginning of every day. If you need to see a time sheet for a prior date just pick a new date and click CHANGE DATE. To enter time, start typing a client’s name in the Client box. The program will find all matching clients and you can choose the correct one. Complete the remaining fields and click SUBMIT. All fields are required except for the Work Type and Stop time fields. You can leave the Stop Time blank and complete it when you finish the work. To edit a time sheet entry click the EDIT button next to the row you need to change. Make your changes and click SAVE CHANGES. To pull time on any or all clients click on Reports and then Time Spent. Pick a beginning and ending date. Then select one or more Work Types, Employees, Businesses, and Individuals. Click GET REPORT. Your report will look like the below picture. Hold down ctrl + p if you would like to print this report. The amount column is calculated by multiplying the number of hours by either the Work Type if one was chosen or the Default User Rate if Work Type was left blank. To setup these rates follow the tutorial found here. 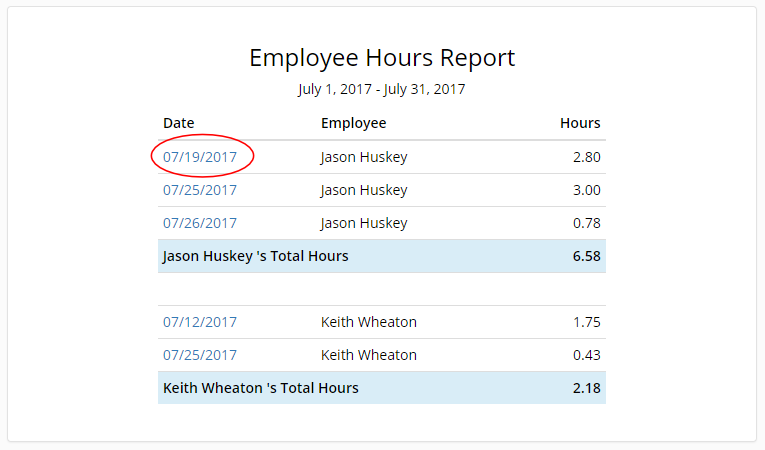 The employee hours report will help you complete payroll. 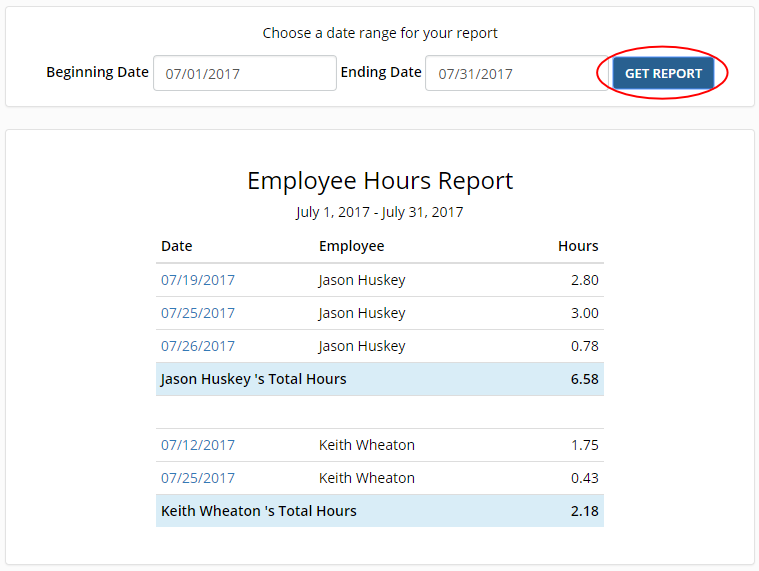 Click Reports at the top menu and then click Employee Hours. It defaults to showing the current month. 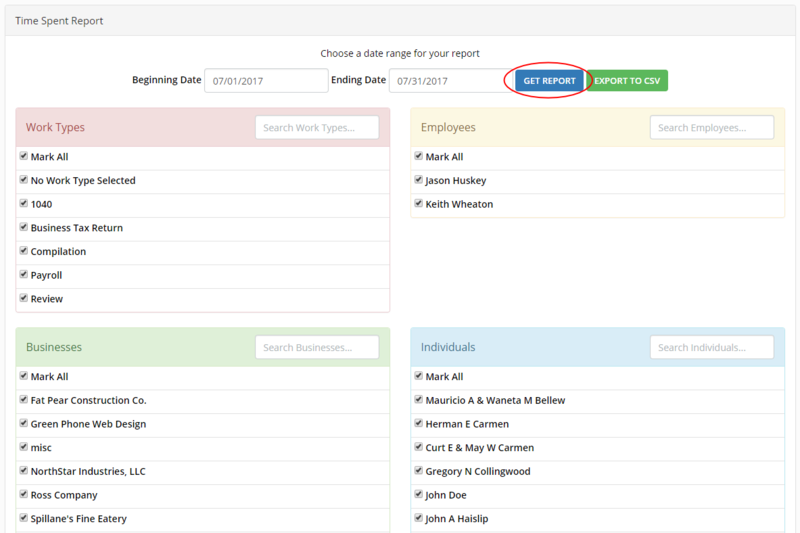 Pick a new beginning and ending date and click GET REPORT to change the date range. Click on any of the dates for an employee to see their full timesheet for that day. I have my staff time in QuickBooks. We enter the customer job, service item, notes if needed and the time. I have one QB file that all employees can use. This good for summarizing, however I don’t like that an ee can see and modify another ee time sheet. Will your software, allow for this privacy? An employee cannot modify another employee’s time sheet but they can view it through the Employee Hours report.